It is our aim to preach Christ and Christ alone, but when all is said and done, it is not the fault of our critics that they find our preaching so hard to understand, so overburdened with ideas and expressions they’re hopelessly out-of-touch touch with the mental climate in which they live…. Maybe we should ask ourselves if we are the obstacles to Jesus and His Word. Are we guilty of placing too much importance on ideas and expressions at the expense of others that are just as if not more important? Are we guilty of preaching too much of our own opinions and conviction and too little of Jesus Christ? Dietrich Bonhoeffer- arrested for his faith in 1943- hanged in a Nazi concentration camp in 1945. January 22nd- Timed to occur on the 45th anniversary of Roe vs. Wade the state of New York legalized abortion up to 9 months, or full term. This legislation guarantees abortion rights at least in the state of New York even if Roe vs. Wade is eventually overturned. January 23- The lead story in the main media outlets today was the ongoing government shutdown. This impasse was reached by the two political parties inability to come to terms over financing for a border wall to prevent illegal immigration. We have been guilty of politicizing the mission of the church. We have acted as if the conservative branch of politics is an extension of the church. And we have paid a price for it. We have sacrificed the influence of the Good News for the comfort and security we think our political party of choice will somehow bring. And while we have been concerned with making America great again babies are being sacrificed on the altars of self indulgence, power and money. If we continue to look the other way we are just as guilty as the politicians who cheered the murder of babies without restriction and lit up the World Trade Center tower in pink. I believe pastor Bonhoeffer was correct in asking ” are we the obstacles to Jesus and His Word? Are we guilty of placing too much importance on ideas and expressions at the expense of others that are much more important?” Where are our priorities? I believe Jesus would be much more forgiving of those who come here illegally sincerely seeking a better life than He is with a nation that endorses and allows the slaughter of babies. After all one account of infanticide we see in the Bible was designed to kill Him. I have no doubt that God’s heart breaks over the murder of each of these little ones. And their blood is on the hands of all who consent to support and cheer on this modern day Holocaust. And if we refuse to speak out we are no better and we to are complicit in this disregard for human life. God will not hold us blameless. 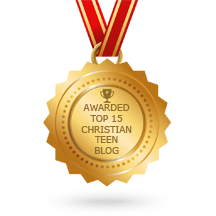 This entry was posted in A CLICK A BLESSING TODAY, Christian Teens Blog JF, CHRISTIAN TEENS BLOGS, Christian Teens Blogs - He is my Peace, Christian Teens Blogs - He is my Peace, Light and Refuge, STRONGHOLD SMASHERS and tagged abortion, Cuomo, judgement, New York City. Bookmark the permalink.